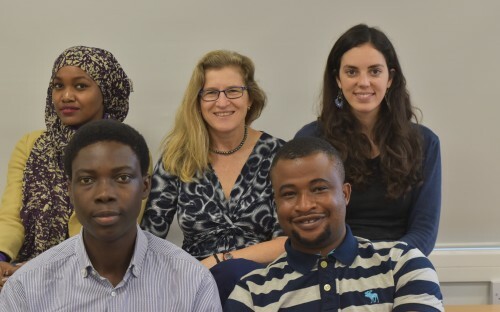 Meet this year's (2018-19) IDS Scholarship Students- learn about their journey to studying at IDS and how the IDS Scholarship Fund made this possible. 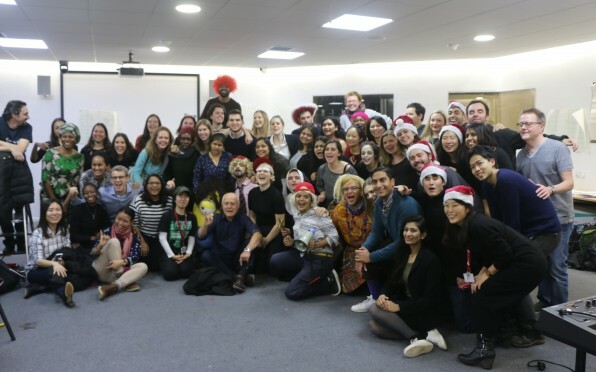 IDS would like to say a massive thank you to all IDS Alumni who have supported the IDS Scholarship Fund. Your donations are essential to help students like Gilbert, Sebastian, Victoria, Joyce and Vibhor get to IDS and enjoy the unique experience of studying here. It is only with the generosity of IDS alumni that we are able to offer these scholarships. To find out more, including how to donate to the Scholarship Fund, please visit the Support Us page. "IDS had hundreds of applicants for these scholarships, reflecting young people’s huge need to find funding to help them achieve their Higher Education ambitions. It is humbling and amazing to read these applications and to see the great pool of talent that exists in the world. To be able to select such creative, innovative and inspired scholars, who have a vision for creating positive change fills me with joy and pride. I am so grateful to the IDS Alumni who have made these scholarships possible and who, together with our scholarship students, work with IDS to help address inequality, poverty and injustice and in so doing help create a world in which we can all live secure, fulfilling lives." Linda Waldman, IDS Director of Teaching & Learning. Gilbert Wadongo from Kenya is studying MA Poverty & Development - "I hope that I will leave full of empowerment and capacity, having interacted with senior and experienced professionals, and other students from diverse backgrounds. I also hope that I will network, present and participate in debates and seminars that will shine the light of my scholarship brighter". Vibhor Mathur from India is studying MA Governance, Development & Public Policy “I always aspired to be in a room full of motivated dreamers, who had their feet rooted in the ground, but their heads up in dreamy clouds - imagining how much better the world could be. I can’t believe how fortunate I am to be at the IDS and meet the most capable, passionate and inspiring minds of the world. I aspire to provide meaningful education and livelihood solutions to the marginalised communities across India and the world. I want to be the force that can drive the change we all yearn for, and I feel like I could not have asked for a better opportunity and avenue to do that than being in the Institute of Development Studies". Oluwatosin Victoria Tanimowo is from Nigeria and is studying MA Globalisation Business & Development - "I want to provide free and quality education for the street child, disabled child, poor child, orphans and school drop-outs, and learning at IDS will expose me to how aid works and how I can reach out to people outside the borders of my country." Juan Sebastian Garcia Celedon is studying MA Power, Participation & Social Change and is from Chile - "I am sure that IDS is the right place for me to build my knowledge and return to the field to keep working to make our world a better place to live." Joyce Baker Nabwire is studying MA Gender & Development and is from Uganda - "Of interest to me is building women’s individual and collective power. Hopeful that through their solidarity, the wall of indifference will break and the world will see what women’s contribution means, thus acknowledge and reward it!" After working for six unhappy years at a bank in Kenya, I returned to the NGO I had co-founded with my younger brother. My brother and I embarked on a mission to provide lighting energy solutions, by importing broken solar pieces from China and guiding the rural youth and women to design, model and assemble simple solar lanterns we dubbed MwangaBora-good light, to poor rural women, children and uneducated youth, from regions that had been forgotten by the state and other development partners. We would then distribute these solar lanterns to households, from which the women would save the monies that they previously used to purchase kerosene into organized women group accounts, in order to raise capital to start group micro-enterprises. The project at long last attracted international development organizations who were proud of it. Interacting with representatives of these organizations exposed my ignorance in the world of global development issues and studies. I was always found on the wrong side of debates and reasoning on deliberations about data, research, surveys and reports. In addition, I found myself having reached a knowledge ceiling on matters of development and poverty issues. After much soul-searching, I realised that the only way to stay relevant to the mission and vision of the organization was to upscale my capacity and skills on foundations and theories about poverty and development, so as not to be redundant, and to be of relevance and meaning in our vision to fight poverty and achieve development for all the poor communities in Kenya. I had a big dream to achieve this through furthering my education at IDS at the University of Sussex, as a reputable international university in the field of global or development studies - but I never had the funds to start the journey. Having received a rare opportunity through the IDS Scholarship to study here, I hope that I will leave full of empowerment and capacity, having interacted with senior and experienced professionals, and other students from diverse backgrounds. I also hope that I will network, present and participate in debates and seminars that will shine the light of my scholarship brighter. At 17, I started working with rescued street children in shelter homes and crime-stricken communities. A young sheltered boy, shocked by the harsh realities of the underbelly of urban spaces, I was determined to devote my life to creating impact-driven solutions to challenges of education, access, equity and poverty. In a structure that systematically marginalises students from economically weaker backgrounds, we launched Project Aawaaz to provide curricular innovations that supplement education with skills like collaboration, problem-solving, communication and awareness – which are crucial for success in the 21st century – making quality education meaningful and accessible for more people. Mobilising over 200 volunteers and a core team of 10, we have managed to reached over 5,000 students from marginalised communities and are now also involved in running two low-income schools as ‘model school projects’. Acknowledging that the problem of low-quality education, and lack of relevant skill-building is more devastating in villages, we launched the Spinning Wheel Internship Program. Our skilling program empowers the youth and women of villages to create organic community-led policy solutions for hyperlocal problems in their community – ranging from sanitation and waste management to electrification, credit systems and digital penetration. We aspire to combine local intelligence and modern technologies to use participative and community-driven research and problem solving. I lived in the houses of tribal communities, walked miles in the harshest climates and terrains, and worked in communities almost at the bottom of HDI indices to understand their lives, and some of our initiatives were even adopted by the local government administration! This degree in Governance, Development and Public Policy along with the multitude of magical opportunities that IDS provides, will equip me with the theoretical skills and tools to design and execute contextualised and evidence-driven development strategies. I also want to be able to work with organisations like the United Nations to learn how programs are created and implemented at an international level, and how impact and quality can be maintained over sustained periods of time. I aspire to take that learning to leadership and entrepreneurial positions to strengthen public systems of policy delivery in India. In the long term I dream of a career in government and policy, to be a part of the highest offices of the country and impact the life of even the most marginalised and disadvantaged communities. It’s an absolute honour to walk the corridors of the IDS and learn from stalwarts from different fields. I feel blessed to have been given this opportunity and most importantly the support of the scholarship. I will strive tirelessly to make the most of it. From the bottom of my heart, I want to thank everyone from the IDS and the generous benefactors who have made my dream come true. I hope to make you proud of having my name associated with your contributions. Thank you. I appreciate the opportunity to benefit from this great scholarship helping youths who want to make a change to their country and the world at large. Having recently started an NGO – Le-Vic Foundation geared towards impacting lives of junior and senior tertiary students through education and self-development programs, and also charity to the homeless. My MA in Globalisation, Business and Development from IDS will make me a transformed leader, help me tackle everyday challenges and expose me to international business and cultures. These and many others are the skills and knowledge I need to grow this foundation and create other businesses to be a successful entrepreneur. This course will enable me to impact lives, give me the ability to create opportunities for the less privileged and to develop my country. I want to provide free and quality education for the street child, disabled child, poor child, orphans and school dropouts, and learning at IDS will expose me to how aid works and how I can reach out to people outside the borders of my country. In addition, developing my country’s economy and my community is paramount, and IDS has the right tools to help me understand how to manage public funds, coupled with understanding taxation at the local government level and understanding the main global actors and how they can contribute to the development of my country. It was working in a Sport for Development organization called Futbol Mas that made me passionate about the work that NGOs do. 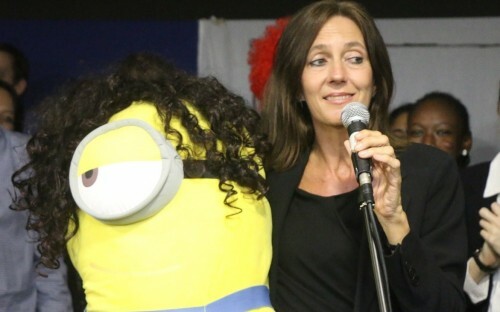 As Executive Director in Ecuador I led the first start up of the project internationally. For 3 years I worked together with more than 400 children and their communities in the north of Guayaquil thanks to an alliance with UNICEF and others. In 2016 I joined the Kenyan team to carry out the Futbol Mas methodology in Mathare and Kibera, two informal settlements in Nairobi. From working with some of the most disadvantaged communities in Chile, Ecuador and Kenya I realised that if I wanted to better achieve poverty alleviation I needed to advance my knowledge and find new tools. 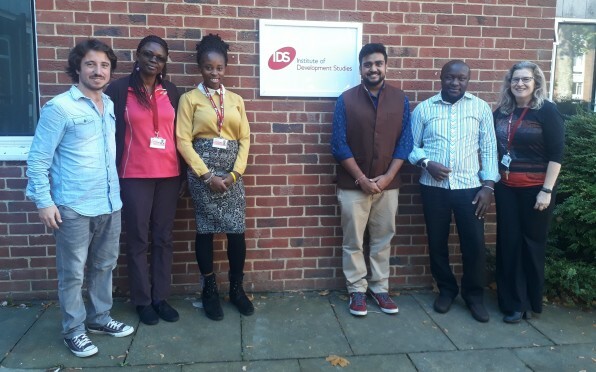 I chose to study at the Institute of Development Studies at the University of Sussex the leading institution in Development Studies in the world. I would like to thank you all for your support with the IDS Scholarship. I am sure that IDS is the right place for me to build my knowledge and return to the field to keep working to make our world a better place to live. Working as frontline staff with women subjected to violence takes a toll on one’s reserves; as you meet and talk, parts of you become numb while others remain vulnerable. I have many times found myself crying with the women, because their pain transmitted itself to me. Amidst the crying, a disquiet descends on me. I am working through the numbness and pain to summon words of healing for a mother of three, seated opposite me, looking to me to provide answers. I am fatigued by the indifference that meets our everyday efforts. But each day I rise with hope and continue working, yet my society continues valuing women only if they are married and shaming those who dare to leave or report abuse from their husbands. Why does society seem unconcerned with the status of women? As we have invested more in awareness about rights, income generating initiatives and started the male champion work, people’s hearts continue to be unmoved. More women visit the women protection shelter where I work with horrendous stories. I can’t help thinking maybe it is time to step back. By stepping back, I hope to re-immerse myself in learning about systems of oppression and how they work to lock women in to the private world where their contribution continues to be unvalued. I am deeply appreciative of the sponsors support to IDS that has made it possible for me to study an MA in Gender and Development. I hope to interact with Feminist thinking and be situated in current debates on gender and development. As I grow in the subject, I can begin doing gendered analyses that will expose the unnamed structures of power that continue reinforcing the low status of women. Of interest to me is building women’s individual and collective power. Hopeful that through their solidarity, the wall of indifference will break and the world will see what women’s contribution means, and thus acknowledge and reward it!